At Delray Beach Oriental Rug Cleaning Pros, our team specializes in area rug cleaning, repairs and restorations in Hobe Sound, FL. 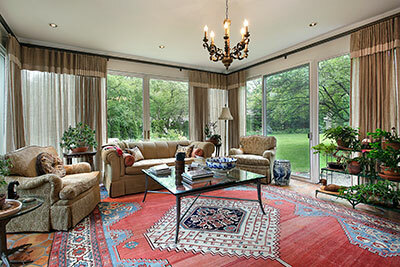 Have you noticed your area rugs have lost their vibrancy? If so, it's most likely due to one, or a combination, of the following: fading over time, being heavily soiled, or dye migration. All of these factors affect a rug's patina, which are the gradual changes happening to your rug as time passes. A rug's patina changes over time due to the environment it's subjected to. Don't be alarmed, it's not necessarily a bad thing when your rug seems to be changing. Comparable to a fine wine, when rugs age, they can become more appealing. Rug fading can be caused by light exposure and fume fading. Unfortunately, there's very little any reputable rug cleaner can do to restore this type of color fading. Keep in mind- if an already faded rug is cleaned, the faded colors can become more apparent. Don't let this idea stop you from getting your rugs cleaned. If you chose not to, the build-up of dirt and soil can cause your rugs to fade ever more. Not to mention, it can cause your rugs to prematurely wear down. 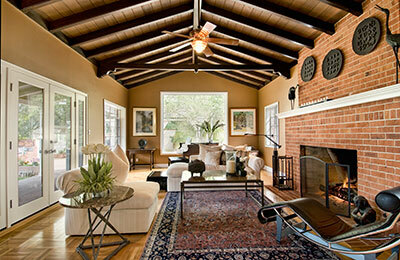 If your rugs are looking dark and dull, they most likely need a good professional rug cleaning. Years of soiling can cause your rug to look faded, but this one's an easy fix! If your rugs condition isn't combined with any other color fading issue, they'll be vibrant in no time once they're washed. Dye migration, also known as bleeding, can be another coloring issue your rug is experiencing. Common pollutants that cause dye migration are water damage or pet urine. Under the careful care of an expert, a dye correction process can be used to meticulously strip bleeding colors off of the ivory parts of your rug. A professional consultation with our team will decide if this process needs to be applied to your rug in a wet or a dry state. This process will help stabilize migrant dyes from bleeding into different colored areas and will brighten the colors in your rug significantly. At Delray Beach Oriental Rug Cleaning Pros, our team understands that regular vacuuming of an area rug with an electric vacuum cleaner is good for the rug. Without regular vacuuming, dirt on the surface of the rug will filter down into the pile where it can accumulate and cause increased wear. That being said, it's imperative to be careful with a cleaner equipped with a power brush or beater bars. The brushes within a vacuum do a good job on machine-made carpeting, but they can wreak havoc on the top layer of an area rug's pile and fringe. If your vacuum cleaner has a power brush, use it only occasionally and lightly on your area rug. For routine cleaning, use just the plain vacuum nozzle. This is especially important for fringes; try not to run an upright vacuum or a power brush attachment over fringes. The brush shreds the fringes and causes rapid wear. Frequently fringes get caught and chewed up by the rotating mechanism of the brush. Whether you want to repair worn or damaged fringe, or add new fringe to your rugs, our technicians at Delray Beach Oriental Rug Cleaning Pros have the expertise to make your rugs beautiful.